When is TV channel Auburn's Sweet 16 matchup with North Carolina? Home https://server7.kproxy.com/servlet/redirect.srv/sruj/smyrwpoii/p2/ Sport https://server7.kproxy.com/servlet/redirect.srv/sruj/smyrwpoii/p2/ When is TV channel Auburn's Sweet 16 matchup with North Carolina? The scene is set for Auburn's first Sweet 16 appearance since 2003. 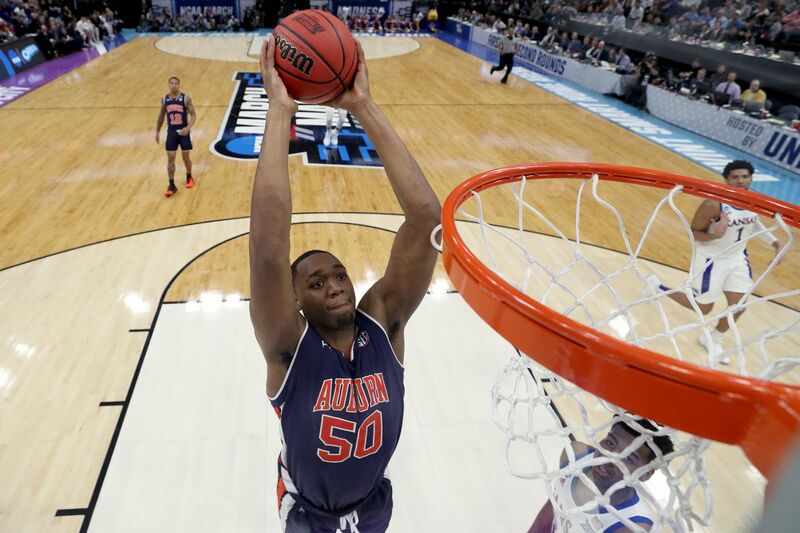 Fifth-seed Auburn will go on top-seeded North Carolina Friday at the Sprint Center in Kansas City, the game will tip out at 6:29 in the afternoon CT and broadcast on TBS. Ian Eagle will make play-by-play while Jim Sparnakel will be air analyst and Jamie Erdahl will be the sidelines reporter for the broadcast. The winner moves on to the Midwest Region final on Sunday. Tom Green is an Auburn beat reporter for Alabama Media Group. Follow him on Twitter @ Tomas_Verde.